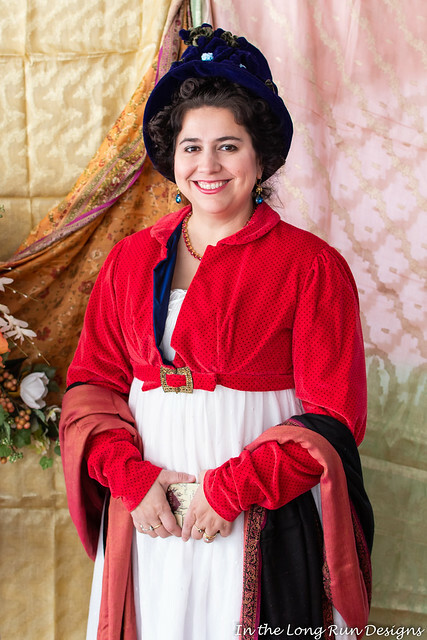 For the 2018 installment of the Pumpkin Tea, Stephanie added a fun twist, which was to make the event Austenland themed. 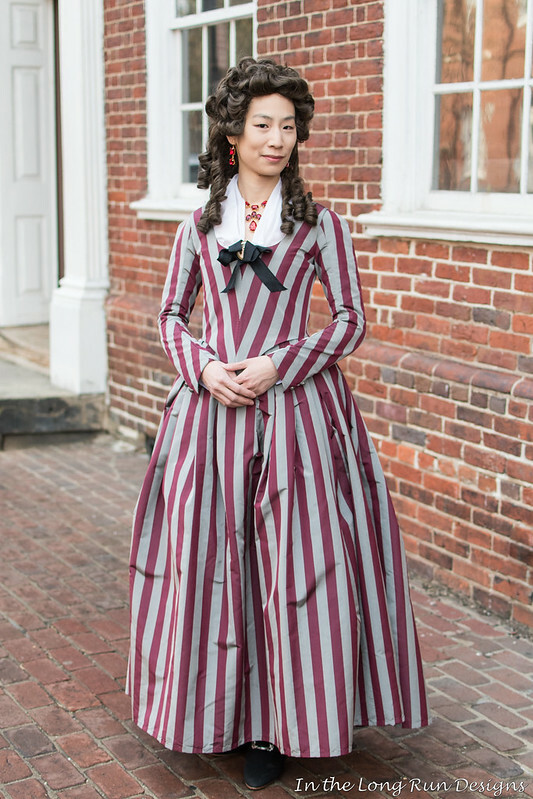 The movie Austenland takes place in a present-day vacation resort that is supposed to mimic the regency era. But of course, a lot of modern, kitschy touches are included in the styling. Stephanie and her co-hosts Kat and Judy really ran with the theme in the decor and food, while many attendees wore over-the-top accessorized regency costumes. It was a fun event! 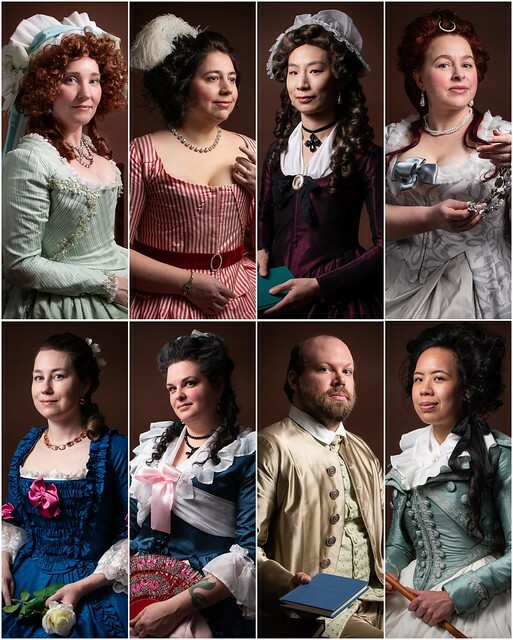 We got the idea for this project during a visit to the National Portrait Gallery in London last summer. 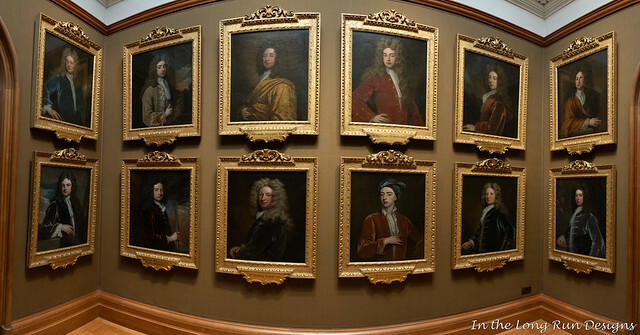 There, we saw a room full of portraits by Sir Godfrey Kneller. There are always a bunch of awesome cosplayers at Baltimore Comic-Con each year, and 2018 was no exception. Seeing all of the many different characters and fandoms represented was so cool. I am already pumped for the 2019 installment! Here is a selection of just some of the many great cosplays we saw over the weekend. Sunday of Baltimore Comic-Con was one of the rare times that Mike and I cosplayed together. 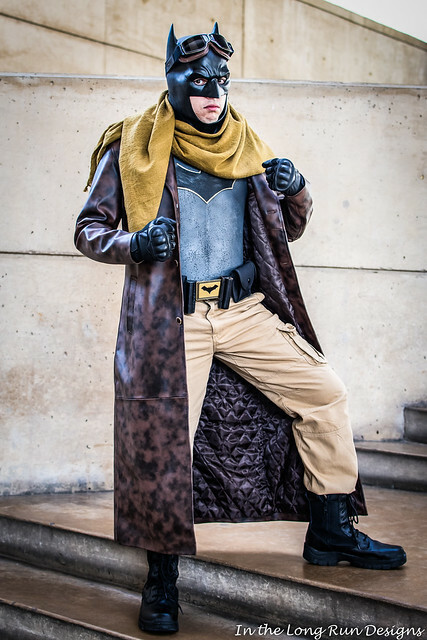 Mike debuted his Knightmare Batman costume, based on the Rules of Engagement arc in the Batman comics, issues 33-35, written by Tom King and penciled by Joelle Jones. 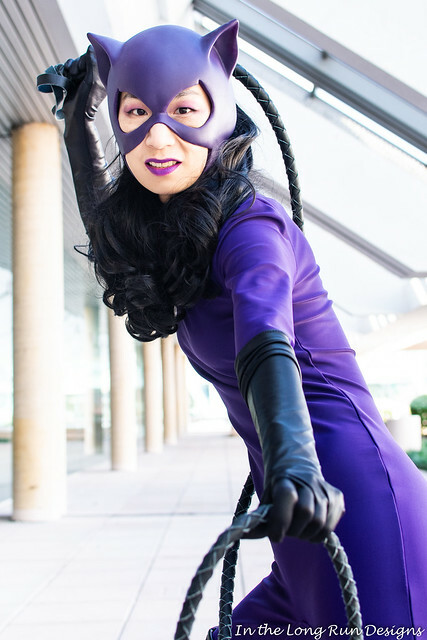 We made this cosplay to match my Knightmare Catwoman costume that I already had. Most of it was done using purchased materials, although we did make the chest armor. 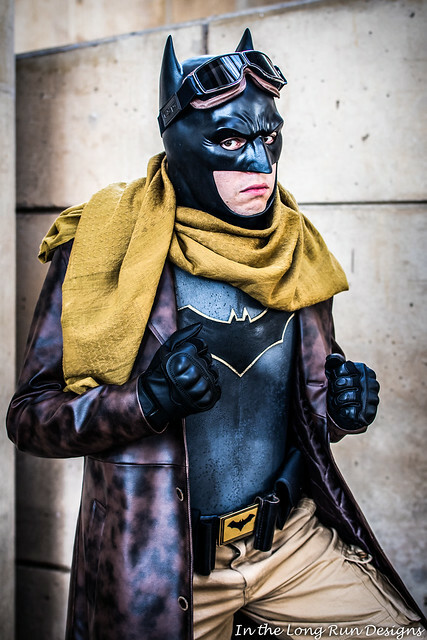 The cowl is by Ryan Eaton Creations. Here are a couple photos I took of Mike. 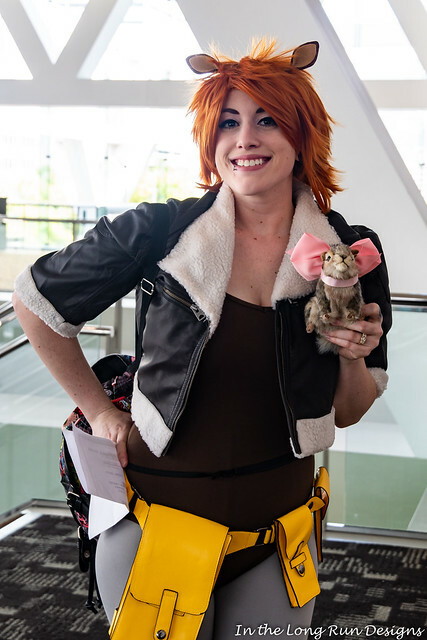 I recently finished editing photos from our first con of 2019, MAGFest. (I will post more on those soon, but I am behind on event recaps, so I need to catch up first.) The weather this year at MAGFest was a little warmer than normal (the con takes place the first week of January, typically), which meant we could do some photos outdoors around National Harbor. But it was pretty windy at times, which made for some interesting logistical challenges in getting the best shots. I was able to come up with a couple solutions after the fact through editing, and I thought I would share the results. Here is the finished final photo. I wanted a vintage-styled picture of me contemplating the water and looking slightly windswept. Accent on the slightly windswept. However, the strong breezes down by the water had other ideas. 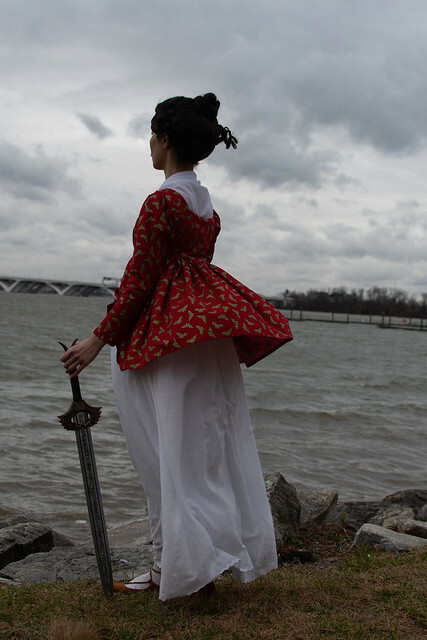 Most of the shots we got looked like this one, with way more billowing fabric and blowing hair than I wanted. 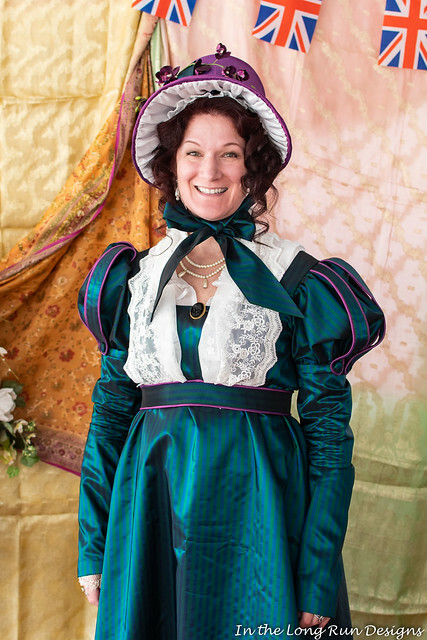 I did consistently work at my photography through the year, concentrating on shooting both costuming events and horse shows. Mike and I upgraded both our camera and our editing software in late 2017, and I decided that 2018 was the year to really learn how to use our new gear. I spent a lot of time practicing and reading books on different techniques. This next year I’d really like to make some of my cosplays that have been on my wish list forever, like Red Hood. I had such a great time doing various Catwoman costumes in 2018, that I’d like to tackle some more of the DC Comics cosplays on my list. 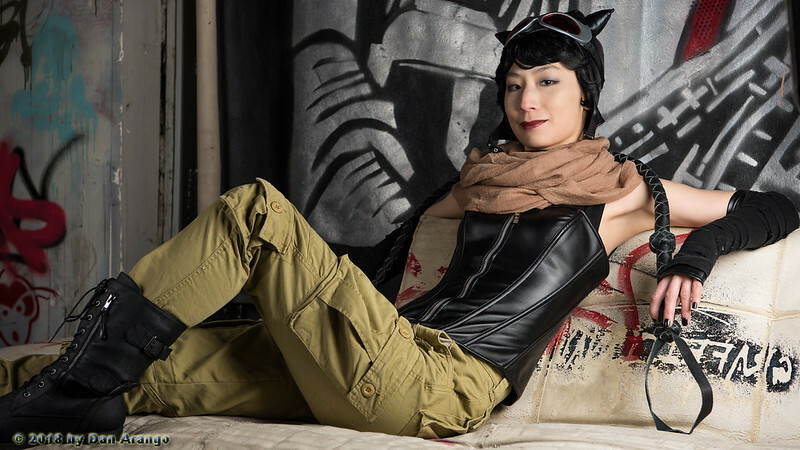 In addition, cosplaying Catwoman has taught me to be much more confident as a costumer. 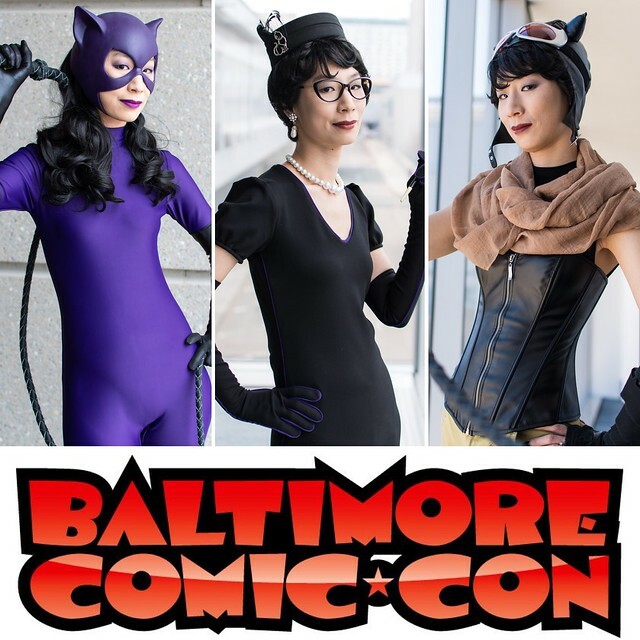 I really had to improve my skills with sewing knits and using a serger to make my Catwoman costumes, which was challenging but fun. I’ve also learned how to be more confident in my posing for photographs. Trying to channel a strong character like Catwoman has made me think more about how my hand placement, facial expression, and body position interact with the camera. Next year I’d also like to work on my confidence behind the camera. I’ve spent a lot of time, brainpower, and money on improving my photography skills, and that has paid real dividends, but sometimes I experience impostor syndrome about my abilities. At times this makes me reluctant to ask to take photos of people at events, especially when others are also taking photos. I don’t want to intrude or step on others’ toes for fear of seeming like a pushy photographer who is ruining the ambiance. I also feel a lot of pressure to produce “perfect” images, because otherwise I might be letting people down. This results in wasted hours of me editing, overworking my raw files and getting stressed. All that being said, I’m not going to back down from this hobby. The only way I will overcome these emotions is to keep going out there and producing images. -Grey silk 1790s waistcoat for Mike-Nope! This one just keeps sadly rolling over from year to year…. -Jason Todd Red Hood costume-Nope! Though I did make the pants, so that’s something. 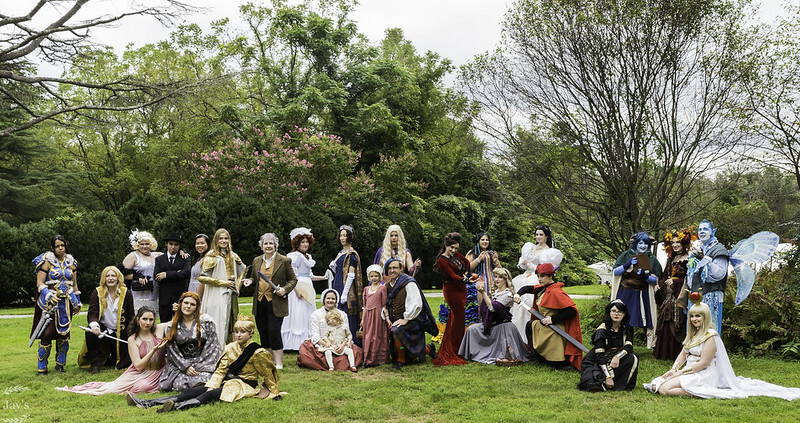 As I wrote in my last post, Mike and I attended a D.C. Cosplay Photo Shoots meetup at Rust Manor House last September. 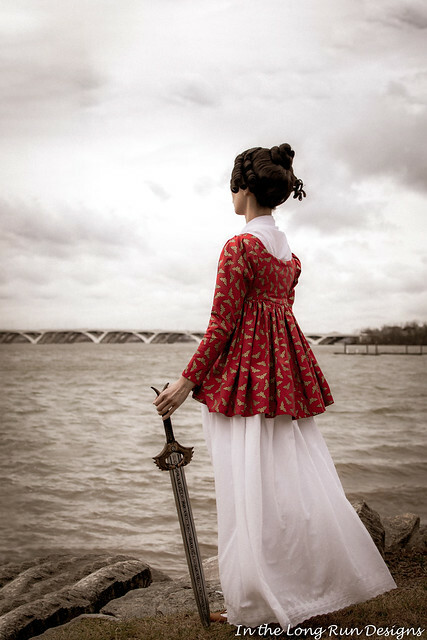 I was fortunate to work with a number of excellent photographers as a cosplayer. This post shares the photos of me that resulted. Here is the group photo by Jay’s Fine Art Photography.